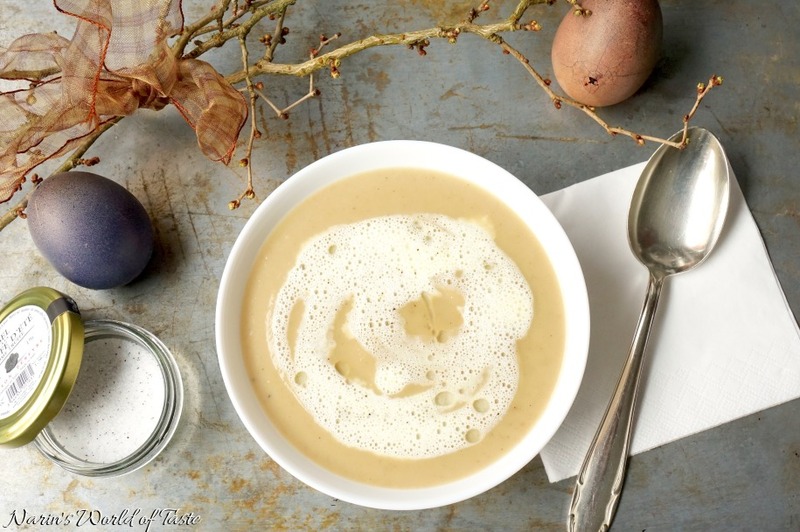 Here I combined chestnut and parsnip to create a rich, slightly sweet, and super creamy flavor. With truffle foam as a topping, you can create a soup for any celebration dinner, like Easter, which is around the corner. Chestnut is typical for autumn or winter, but it’s available all year around. So why not eat it throughout the year? 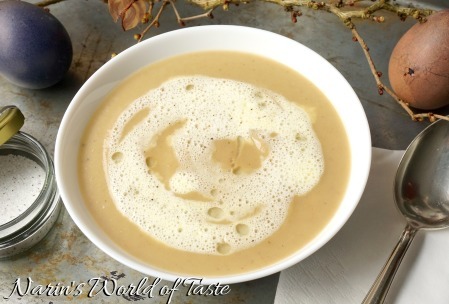 I love the taste very much and wanted to share this soup with you now in time for Easter. Maybe you want to integrate it into your Easter menu. Wash the spring onions and chop them thinly. Peel the garlic and parsnip, chop the garlic, and cut the parsnip into cubes. Also chop the pre-cooked chestnuts. 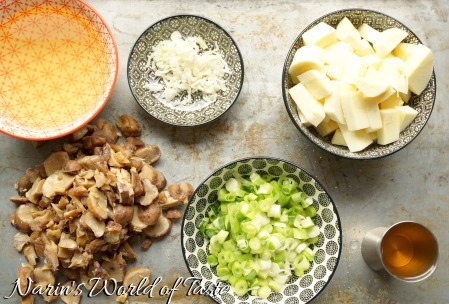 Over medium heat, sauté the spring onions and garlic with one tbsp ghee while stirring continuously. 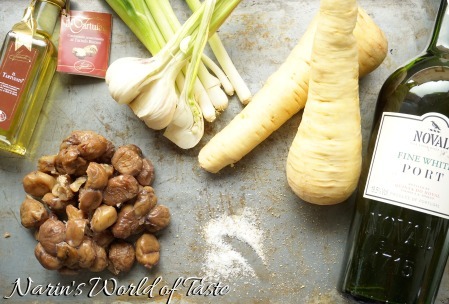 Then add the chestnuts and parsnip pieces and combine everything. Deglaze with the white port until almost all the liquid is gone. Season with salt and pepper and add the vegetable stock. Reduce the heat and let the soup simmer for about 30 minutes or until the vegetables are soft. Add the cream and puree the soup with a hand blender until smooth add some water or vegetable stock if the soup is to thick. As needed, season again with salt and pepper to your liking. 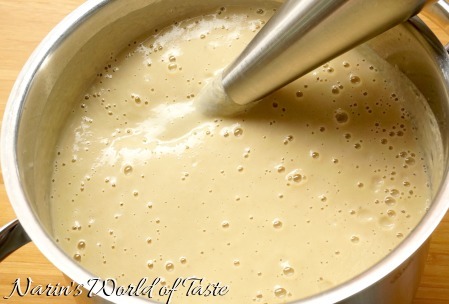 For the truffle foam, combine all the ingredients in a Tupperware and blend with a hand blender until foamy. Soy lecithin is part of the molecular kitchen and helps maintain the texture of the truffle foam once it’s added to the hot soup. Serve in a soup bowl and optionally drizzle some of the truffle foam and truffle oil on top. You can also add some truffle salt, if you like.